Shows enough promise for me to wish them well and look forward to their next album with anticipation. 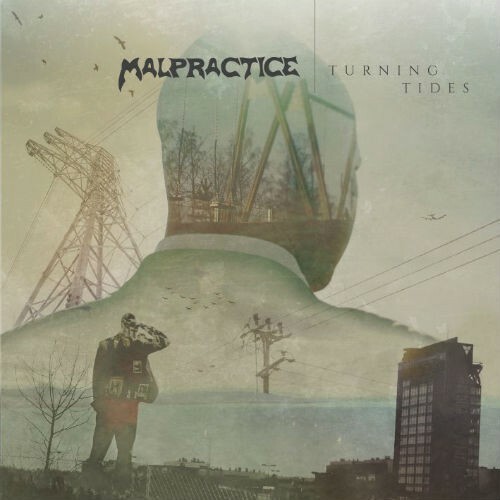 Formed in 1994 in Kuovola, Finland by guitarist Joonas Koto, this is the fourth full album by Progressive Metal exponents Malpractice, and also the first to retain the same line-up as their previous outing, 2008's 'Triangular'. Starting life as a Thrash band – a style still evident at times in the frantic double-bass of drummer Toni Paananen and sharp twin-guitar attack of Koto and Markus Vanhala – the band have evolved into a style that their bio calls "a must-hear for fans of Queensryche, Fates Warning, Dream Theater and Megadeth". Certainly not the most wildly inaccurate description I've ever read, and even though they lack a keyboard player and a singer of Geoff Tate, Ray Alder or James LaBrie's commanding presence, Aleksi Parvainen has a likeable enough voice and adds hooky melodies to the mostly fast-paced, technical Metal on show. Trying to set the scene as something a little different from the norm, the band almost shoot themselves in the foot on the opening 'Best Kept Secret' where spoken parts replace a traditional verse, but thankfully the razor-sharp guitars and a reasonable enough chorus keep you interested enough to persevere to the thundering Techno-Thrash of 'Weight Of The World' where a neat vocal and tons of melody add variety to the wall of noise. The growly vocals of 'Irony Tower' (did you see what they did there?) are similarly off-putting but are balanced by an upbeat verse against a dark, progressive background. The centre-piece of the album is the fifteen minute title track, which is very DT-like in its multitude of shifting riffs and rhythms, includes some interesting sounds and only trips up slightly by continuing a couple of their themes a bit too long. Also, following it with a frantically-paced instrumental is a little too much "widdle", even for someone like me who's not usually averse to such things. Just when you think the last track 'Out' is going to carry on in the same vein, they slow down the verse a little and add some interesting layered vocals to add some extra class. Best of all is the song smack in the middle, 'State Within A State' has the best riffs, the most tasteful drumming and the best vocal arrangement, and is a direction that the band can make their own without the need to reel off a few of their obvious influences. Production is a bit on the trebly side but Malpractice seem to have been imbued with the traditional Finnish sense of dexterity and musicality. 'Turning Tides' isn't perfect by any means, but shows enough promise for me to wish them well and look forward to their next album with anticipation.